I am trying to create a document with fancyhdr and a pretty long header. It works on all pages except the first page, where the text flows into the header. 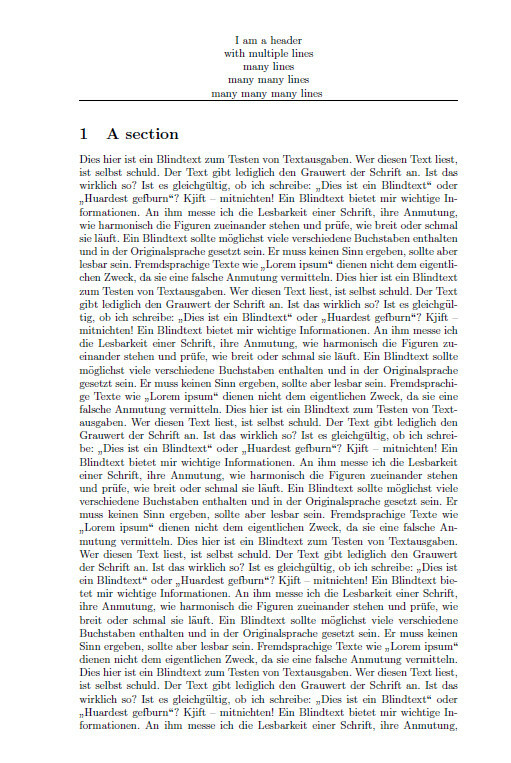 On the following pages the text starts after the header is finished. Why doesn't the text get bumped down by the header? What is different about the first page and how can I fix this? Make it at least 58.54448pt. What is causing different spacing between a header and content on one page only?